A cell phone commercial from a few years back asks, “Can you hear me now?” The assumption is that one can hear any place, any time, in any situation through this miraculous technology. 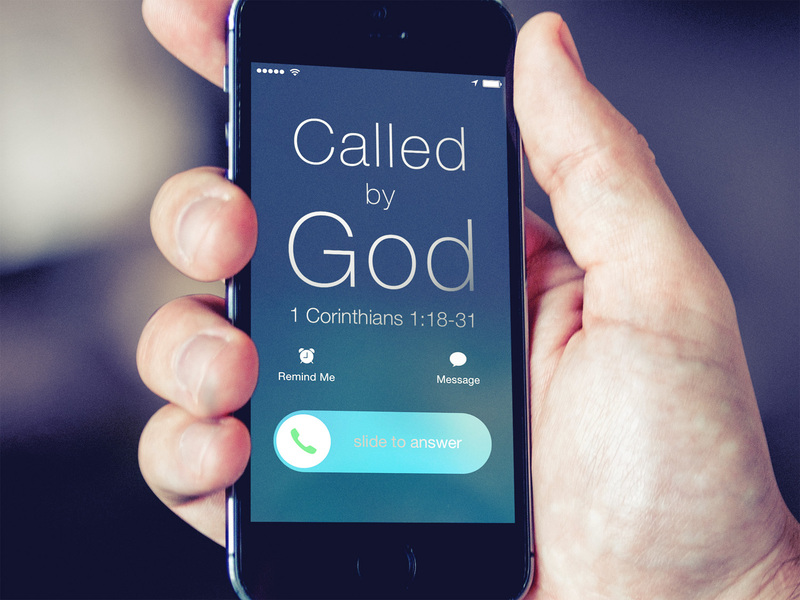 When the voice of God calls to Moses from a burning bush that is not consumed, it’s like God is saying to Moses, “Can you hear me now?” Moses finds good excuses, at least in his mind, for not hearing to God’s call, but God, nonetheless, persists in calling. And so, there is tension in this story. Will Moses listen? Will Moses obey? Moses has come a long way since his time in Pharaoh’s court as a “prince” of Egypt. A quick recap of Moses’ life so far: Moses grew up in Pharaoh’s household, and was educated with the best teachers in the country. One day, Moses, in defending an Israelite, kills an Egyptian. Pharaoh hears of it and seeks to kill Moses. Moses flees to across the desert to the land of Midian where he meets the priest Jethro and his daughters. Moses stays in Midian, marries one of Jethro’s daughters, Zipporah, and settles down as a shepherd keeping Jethro’s flocks. It is this area, in what we now call the Sinai Peninsula, where Moses is keeping his flock, and is confronted by a burning bush and the call of God. We, too, as Christians, are called by God, not necessarily from burning bushes, but in more common and ordinary ways. We are called, chosen, summoned and sent – all those words are related. We hear the call of God when God’s Spirit speaks to us through a Bible reading, a sermon, a hymn, or a prayer. Or God may speak to us through a call to action, like we heard this past week in the Pope’s speeches to congress and to the U.N. Or, we sense God’s speaking to us through a Baptism or through Communion. God may even speak to us through the wisdom of a friend or through our life experiences. The Apostle Paul writes in 1Corinthians 1:26: “Consider your own call, brothers and sisters.” We are invited to consider how God may be calling to his purposes, because God invites us, every one of us, to partner with him in his purposes. We are chosen by God in our baptism. Whenever we see someone baptized in this church, we are to sense the Spirit of God speaking to us, and saying, “You belong to me. You are mine. And I have purposes for your life.” Every person here today, every one of us, is called by God. We are called to a joyful relationship with God, where we remember, daily, his love and forgiveness in our lives, and where we follow, daily, his purposes for our lives. During the time of the Reformation, in the 16th century, it had been taught that only monks, nuns, priests and pastors had a calling from God, while ordinary Christians were taught they did not have a calling from God. Luther changed all that. We all have a calling from God, he taught; each of us have been called by God to be ministers and missionaries in our homes, our places of work, and our communities. We can fall into this false way of thinking, that the church building is the only place where the “God-stuff” happens, and that God doesn’t have much to do with our lives outside the church building. That kind of thinking is the opposite of what we see in the Bible. God is “out there” in the world. The church is to gather, to be equipped for serving God in our daily lives. Yes, this church building is used to serve God in many ways, but that should not obscure the truth that we are called to serve God in our day to day lives, wherever we are. The temptation is to take the news reporting approach to our life of faith. I often read my news on my cell phone, on MSN or CNN or Google news. Each one splits up the news into topics: national news, world news, sports news, financial news, political news, lifestyle news, religious news and so forth. Religion is presented as one segment, one slice, of our life. Other areas, such as money, or lifestyle, or entertainment are in other segments of life and not connected to our faith. It’s misleading, because our faith touches upon every aspect of our life. God’s is telling us that our day to day lives matter, and that he wants to partner with us in our daily lives to accomplishing his purposes in the world. God hears their cry and now intends to act. But God needs someone to be his worker, to be his hands and feet; someone who has firsthand knowledge of his people’s oppression; someone who can get an audience with the Pharaoh, and someone who knows the way across the desert. Moses is ideally suited and now God calls Moses to partner with him in doing something about it. What purposes of God are you called to do something about? How has God gifted you with abilities and know-how and resources? How could you use those gifts to serve God? God wants us to know that he has work for us to do. We should leave our worship today with this commitment, this determination, that we are going to answer God’s call and serve him. We see the needs – we scan the bulletin announcements, the prayer list, the monthly church newsletter, the opportunities to serve – and we, like Moses, are called to be God’s hands and feet doing something about it. Like Moses, we may have good reasons to excuse ourselves, but God will continue to clarify his purposes for us, his calling in our lives. God says to Moses, “So come, I will send you to Pharaoh to bring my people, the Israelites out of Egypt” (3:10). Moses replies, “Who am I that I should go to Pharaoh, and bring the Israelites out of Egypt?” (3:11) ‘I don’t have what it takes. I am a nobody!’ This is excuse number one of five that Moses dreams up. Ever felt that way? I am a nobody? Fear of the unknown, low self-esteem, lack of faith – all these are contributors to the statement, ‘I am a nobody.’ You feel your mailing address only reads, ‘Occupant.’ You feel unimportant. You feel un-gifted, un-able. Moses continues with his excuses. Excuse number 2 – I don’t know enough about God. Excuse number 3 – No one will listen to me. Excuse number 4 – I can’t talk, I’m a poor speaker. Pastor Jill Briscoe, serving a church in Brookfield, Wisconsin, wrote a book with a telling title, ‘Here I Am, Send Aaron.’ Today we say send my pastor, a committee, or my spouse, but don’t send me. Moses the excuse maker becomes Moses, the servant of God…what about us?